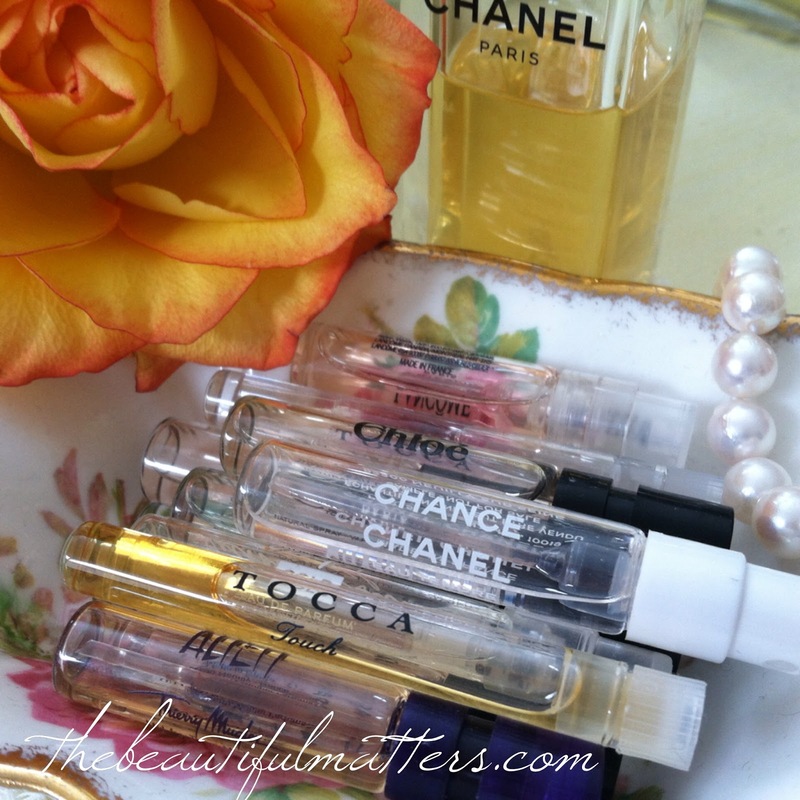 I love the idea of having a signature perfume. But I have never been able to settle on a favorite. I don't know whether it's because I don't want to be tied down to one when there are so many beautiful perfumes out there, or whether it's because I've not yet found that elusive perfect one. So I have a perfume "wardrobe." A couple of perfumes for everyday wear, another for evenings out, one for cooler weather, a lighter one for summer. I have about four or five that I currently rotate, including Angel and Azuree. Every couple years, I rotate in something new. I don't know how many perfumes I've worn since college, when it was White Shoulders and L'Air du Temps, but they must number in the dozens. Every time I go shopping, I have to stop first at the Chanel counter or the Estee Lauder counter or go to Sephora and spritz one perfume on my left wrist and another on my right, and then let them dry down while I shop. I find myself walking around raising my wrists to my nose for the next several hours, considering. What I'm really looking for, though, what I'm really on the quest for, is a vintage perfume to fall in love with. And that can't be found at your local Nordstroms. 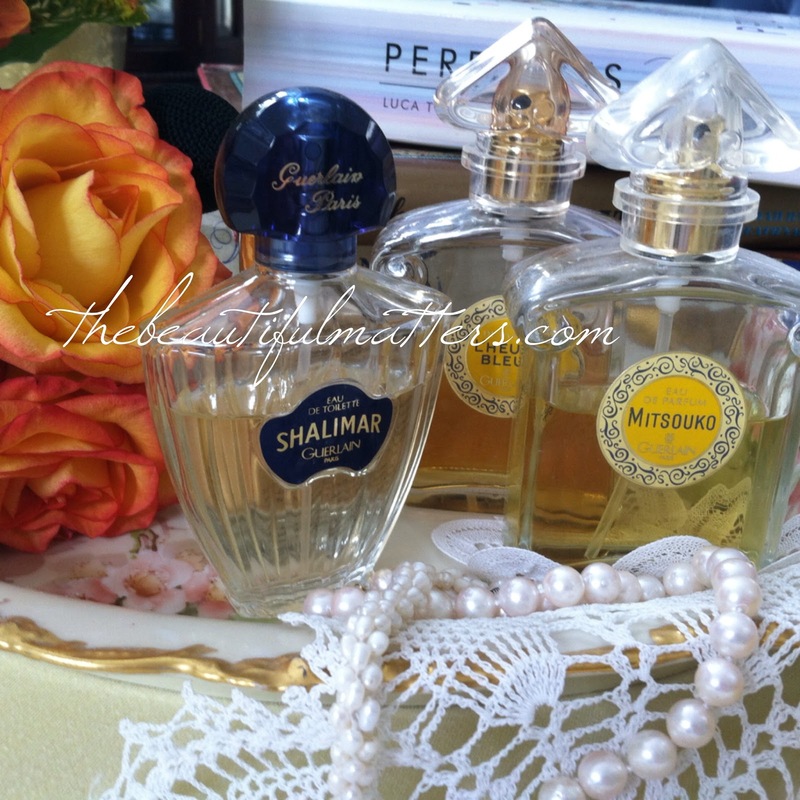 Many vintage perfumes, if they are available at all, need to be ordered online. So it's almost impossible to spray some on and walk around and think about it before you buy. Sometimes you can buy a sample online, but oftentimes you need to buy the whole bottle. A lack of unlimited funds has slowed down my progress in this area. It's hard to pop for a whole bottle of perfume when you're not sure whether you'll like it or not. In doing some research, some time ago I read a book entitled The Bombshell Manual of Style, by Laren Stover, which has a chapter on perfumes worn by 1940s and 50s Hollywood movie stars. We all know that Marilyn famously wore "nothing but" Chanel No. 5 to bed, but I was able to discover favorite perfumes of stars like Gina Lollobrigida, Jean Harlow, and Mae West. Perfumes included classics like Arpege (celebrity user: Jayne Mansfield), Shalimar (Rita Hayworth), and Jicky (Brigitte Bardot). 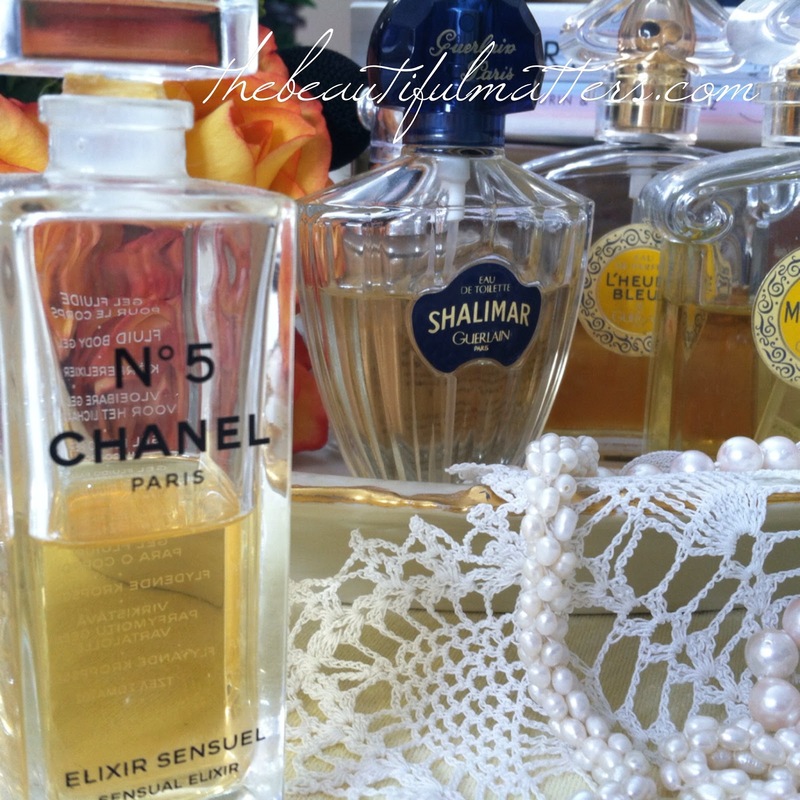 Other vintage perfumes worn by old Hollywood included Femme by Rochas, Fracas by Piguet, Diorissimo by Christian Dior, and of course, many by Chanel (Nos. 5, 19, and 22 as well as Coco). 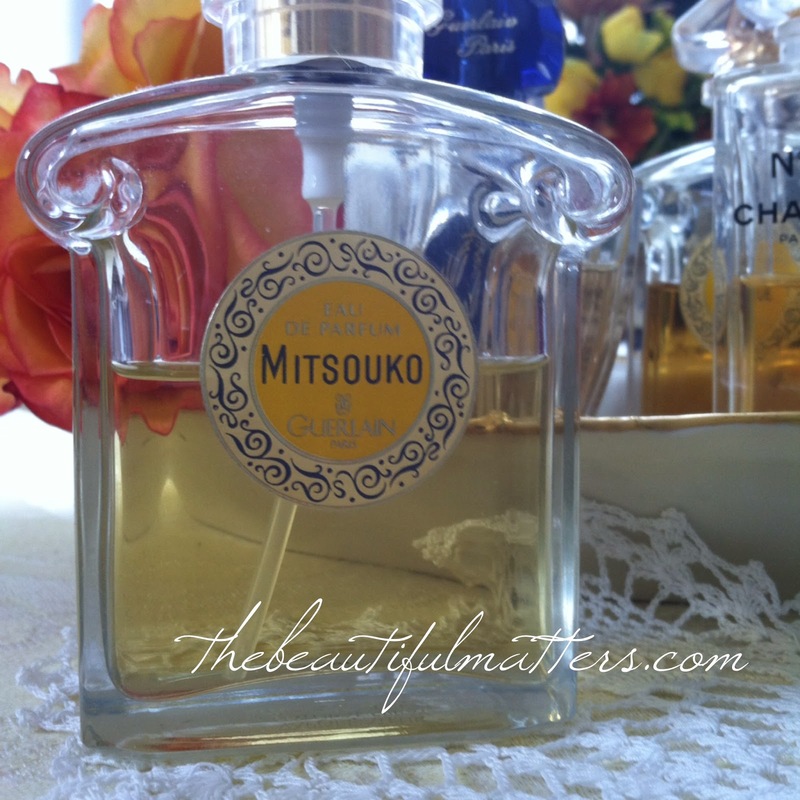 There were some I hadn't heard of that sounded wonderful, like L'Heure Bleue and Mitsouko by Guerlain. 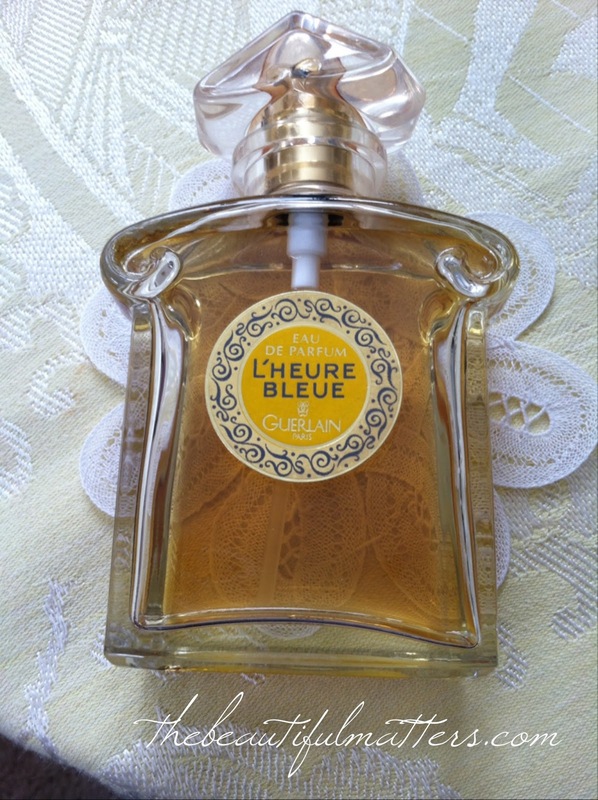 I learned that Jickey, by Guerlain, is the oldest perfume in continuous existence. It was first made in 1889. I'd love to smell this one. Apparently, it, and other vintage perfumes, don't smell quite the same as they once did, however. Various European regulations regarding the use of potential toxic components have forced perfumers to change their formulations somewhat. 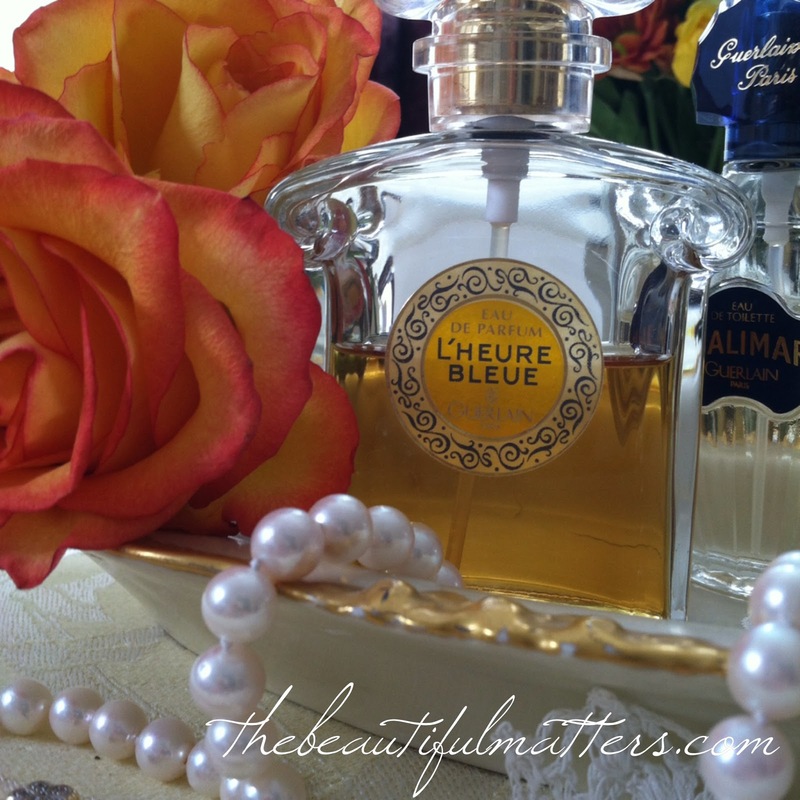 Despite the reformulations, vintage perfumes are still much heavier than modern-day perfumes. 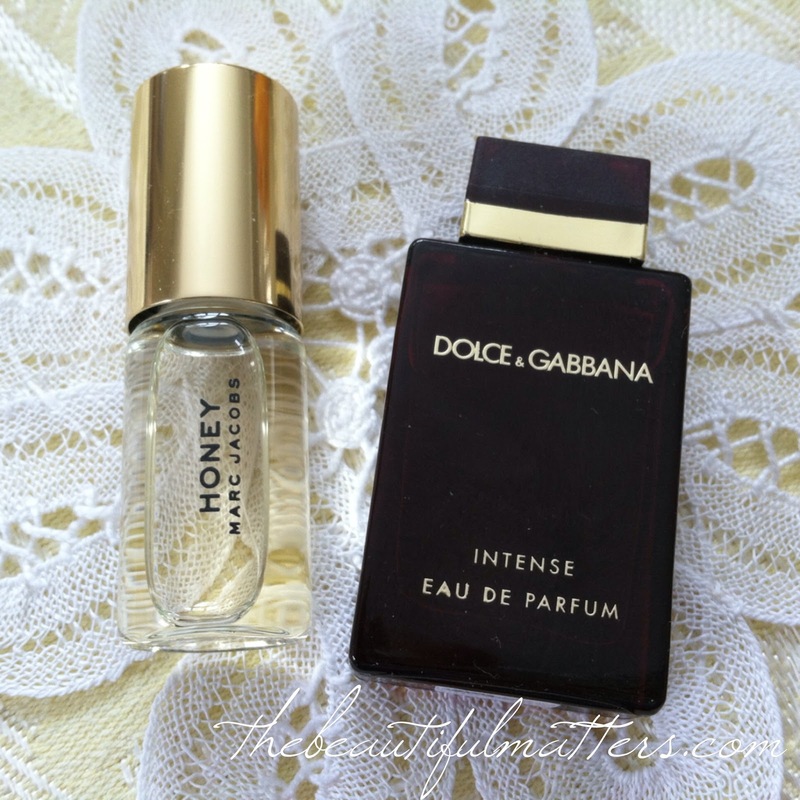 I actually like a heavier perfume, soft and warm and enveloping. It feels like a cozy sweater on a cold day. I have to be careful not to spritz more than once or twice though, because nothing's worse than being bombarded with someone else's overpowering scent. Over several years I was able to either buy or sample some of these perfumes, but didn't get a hit. Some were too floral for me, like Joy. I wanted to like Arpege because it is "fragile and sumptous . . . and quietly envelops." On me, at least, it was awful. 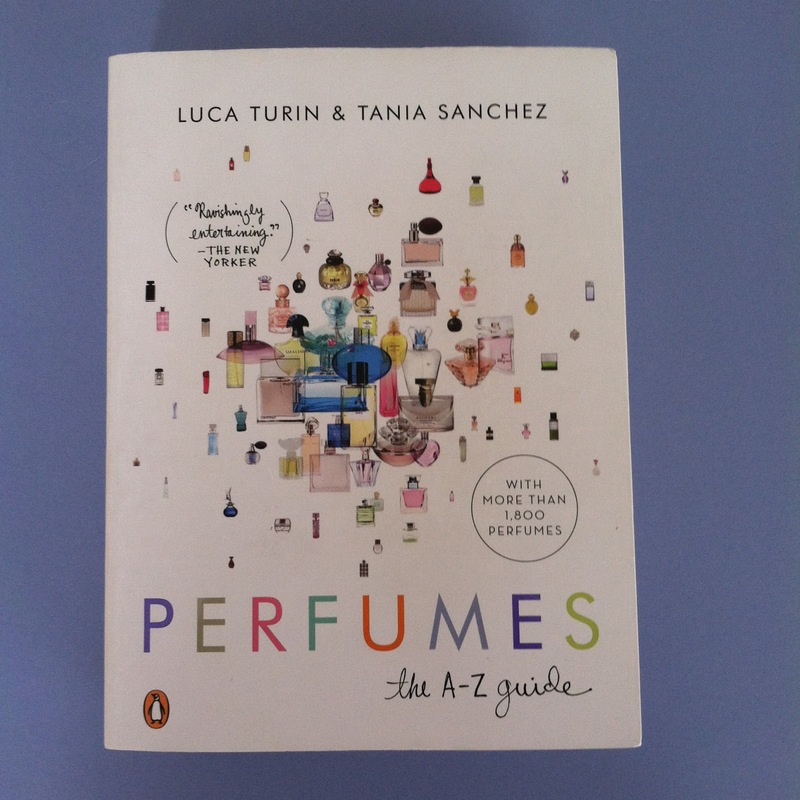 I then found a book called Perfumes the A-Z guide by Luca Turin and Tania Sanchez. What a great read. These "noses" are clearly experts, connoisseurs if you will, and write in an entertaining manner. There's reviews of more than 1,800 perfumes, history, rankings of different types of perfumes, such as florals or chypres, and many other fascinating details. They can be quite snarky, and several of my favorite perfumes are bashed in their book. 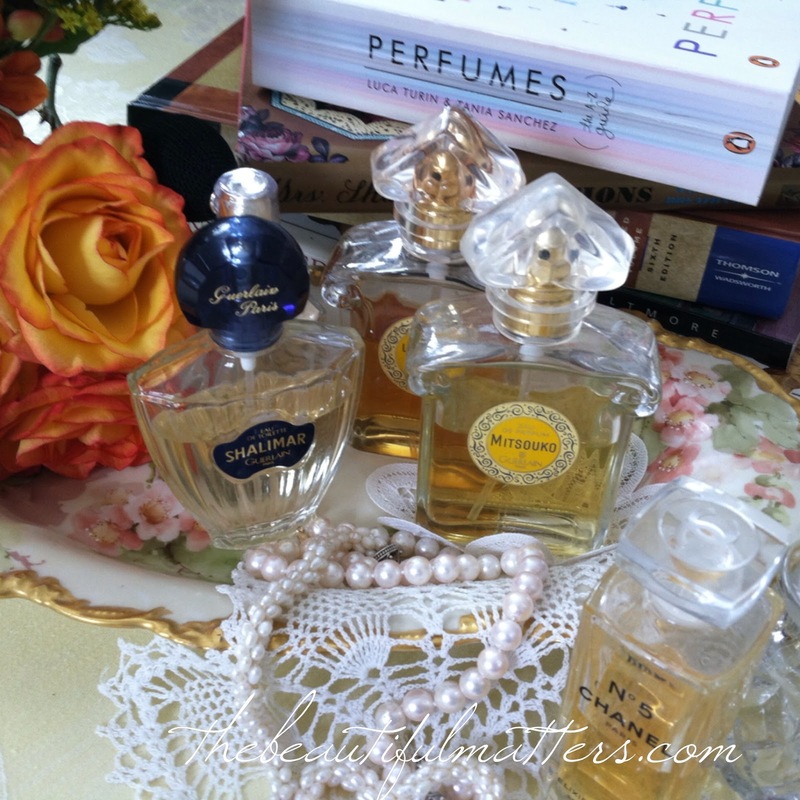 But, based on their reviews, I tried a few more vintage perfumes. I almost hit the jackpot with Mitsouko. It's probably the closest to what I'm looking for, but not quite. It's in my rotation. 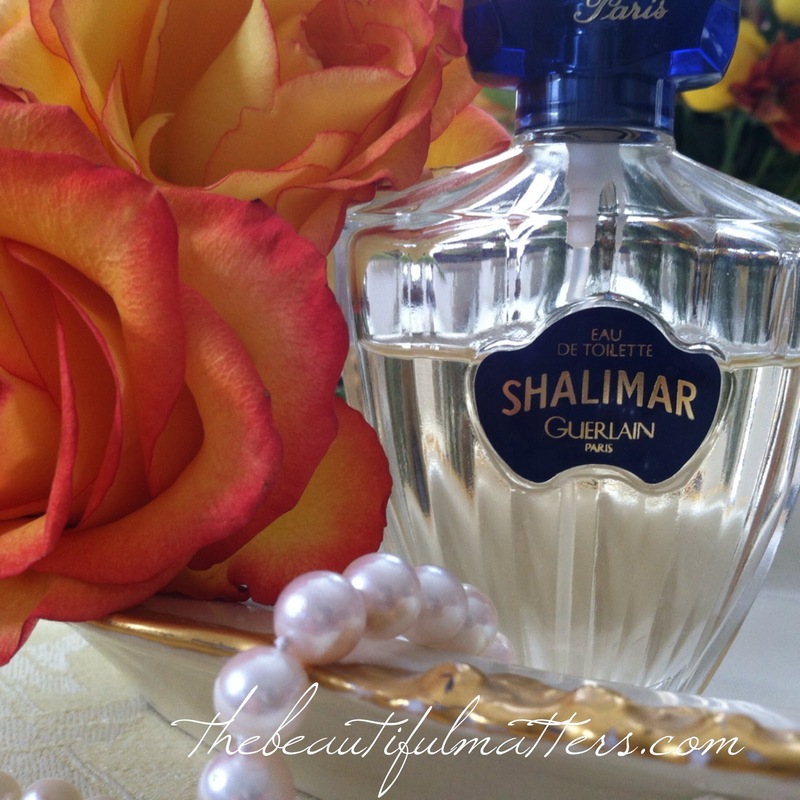 It was released in 1919 by Guerlain. Don't you think it's wonderful to wear a perfume that someone might have been wearing as they celebrated the end of World War 1? Or that Zelda might have worn in Paris in the 20s? Another idea I've tried is simple, single-note scents, like rose or lavender, that were popular to wear in days gone by. I did find a lovely rose spray that I like from Alteya Organics. You can find essential oils of rose and lavender at a health food store and mix them with a light oil like almond for a scented body oil. Crabtree and Evelyn and Caswell and Massey also have some old-fashioned scents. But because I prefer more of an oriental scent with layers, I'm still on the search. Maybe I have to redefine my idea of "vintage." One of my current favorite perfumes is Angel by Thierry Mugler. I just recently heard it called a "classic." What?! It only came out in the 90s. I guess to someone in their 20s, it is. So if 90s perfumes can be referred to as classic, maybe my favorites from college days are vintage now? Love to hear any recommendations you have for vintage perfumes. And don't forget to comment for my ***GIVEAWAY*** here. I am linking with My Romantic Home, French Country Cottage, and A Return to Loveliness. Hi Deborah, This post is truly lovely. I enjoyed it very much. Your images are beautiful as well. My friend wears Angel and it is delightful on her. I prefer light florals. In my youth, I enjoyed Rain Scent by Coty, Charlie, and Muguet de bois (lily of the valley scent). Nowadays, I like Pleasures and Pleasures Intense. I also am big on scented lotions from Bath and Bodyworks, with Warm Vanilla Sugar and Vanilla Bean being favorites. Have a lovely day, Deborah! I've heard that men really love vanilla scents, so maybe your husband loves it too? 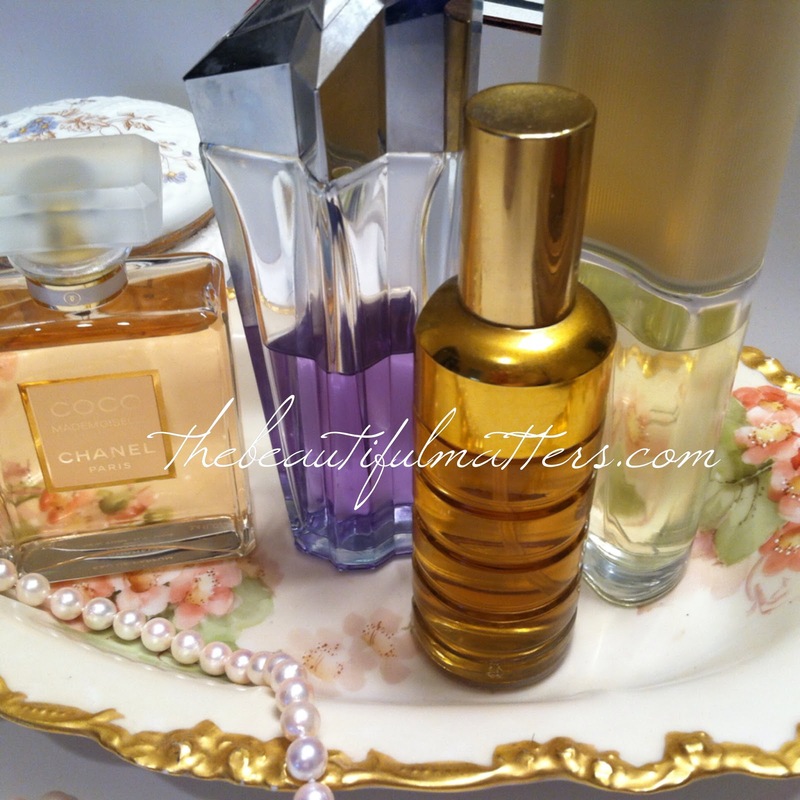 ;) Estee Lauder has always had beautiful perfumes. Wonderful topic! 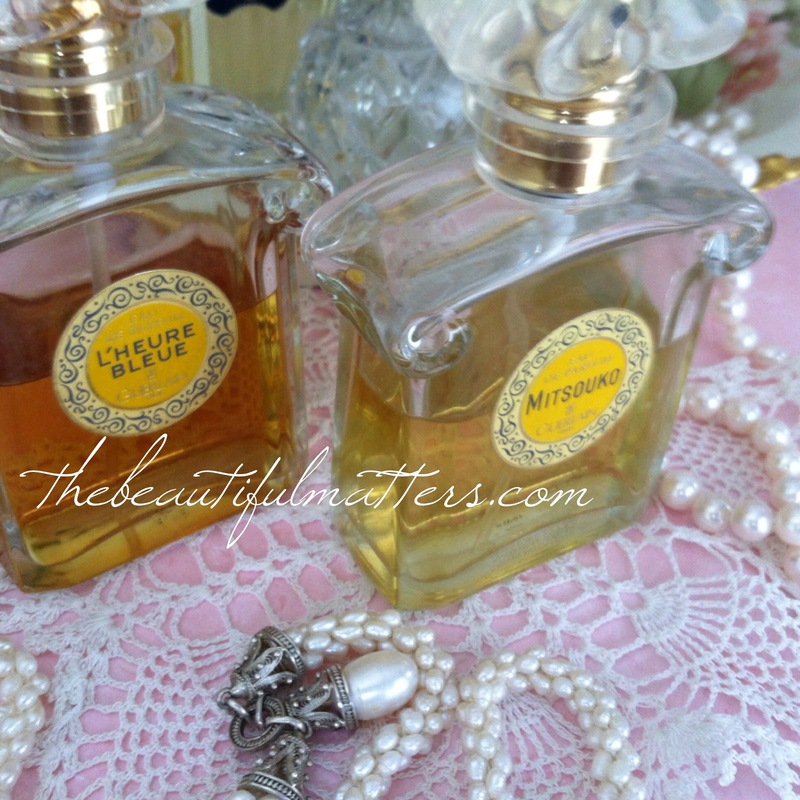 I wore an old scent that my mother also wore called "Ecusson" by Jean d'Albret. It was discontinued (sadly) when I was in my 20s. I mourned its loss for years, and never could find a real replacement. I like White Linen, Channel #5. Then ... I found a store near Charlotte, NC called The Fragrance Shoppe. Amazing place! Run by a family, they have only 2 or 3 stores. They stock not the finished perfumes, but the straight oils, and they mix them themselves and sell the straight oils (without alcohol, which makes the scent dissipate). Then blend them into body oil sprays too. Anyway, they HAD Ecusson, and at last I was able to smell it again and purchase a small bottle of the pure oils. I was in heaven! If anybody has a scent they miss and long to find, this is a good place to start! thanks M.K.! I just googled them, and am going to explore their site.Looks fascinating. Hope you had a good weekend! Hi Deborah! What an interesting post. My husband and I both don't have a good sense of smell (allergies! ), so I only have one or two bottles of perfume that I wear, which I let my daughter help me select. Whenever I visit Sephora I have to take my daughter along to help me choose anything scented. Years ago I liked Ciao by Houbigant but they no longer make it. Have a great first week to Feb.
My hair stylist can't smell at all, so her daughter picks out her perfumes as well. Thanks for visiting Shawn. a "sniffathon!" sounds wonderful. I'll talk with Bev. 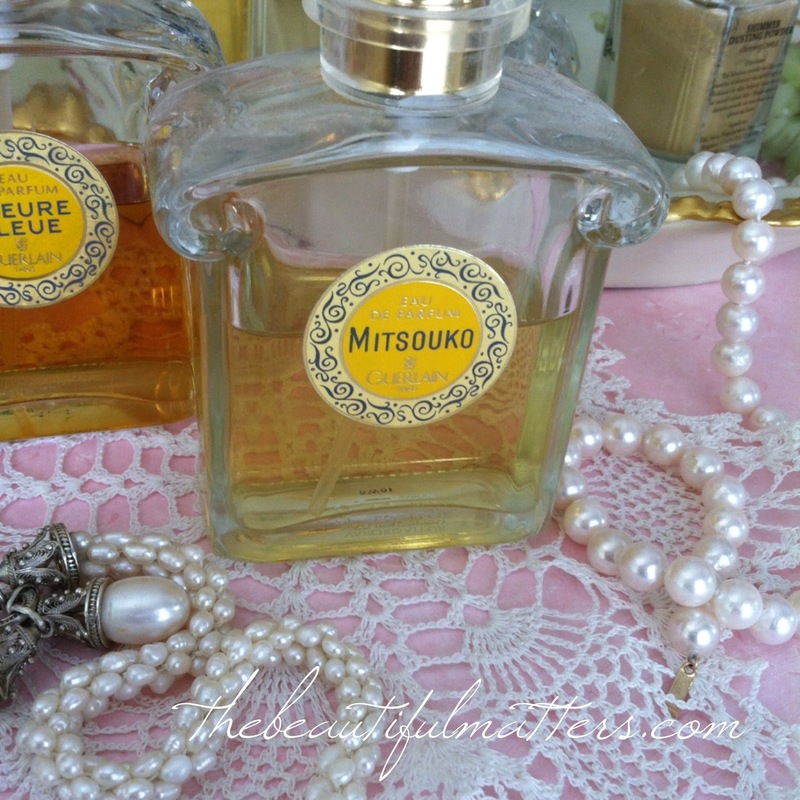 Mitsouko is my newest scent and I love it!